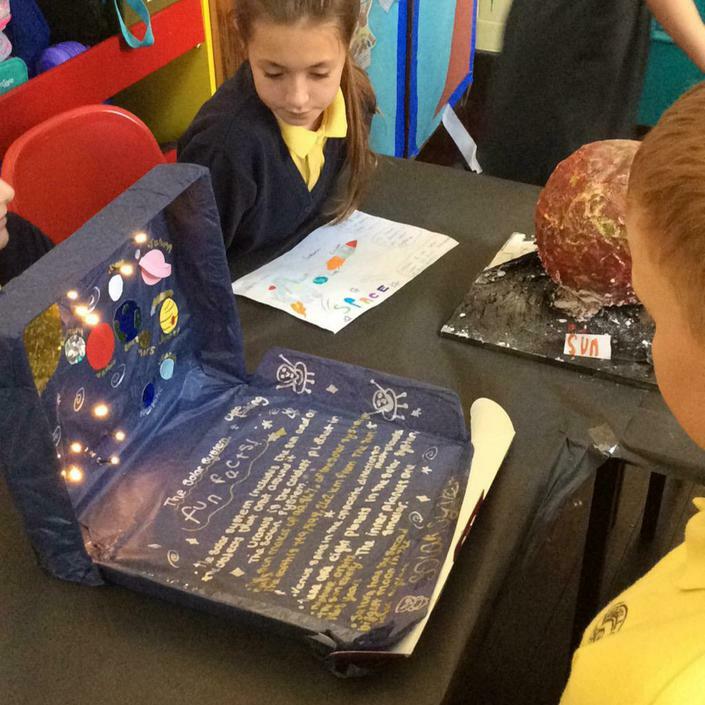 Year 5 were very busy over the Easter Holidays creating a project for our 'Space' topic. 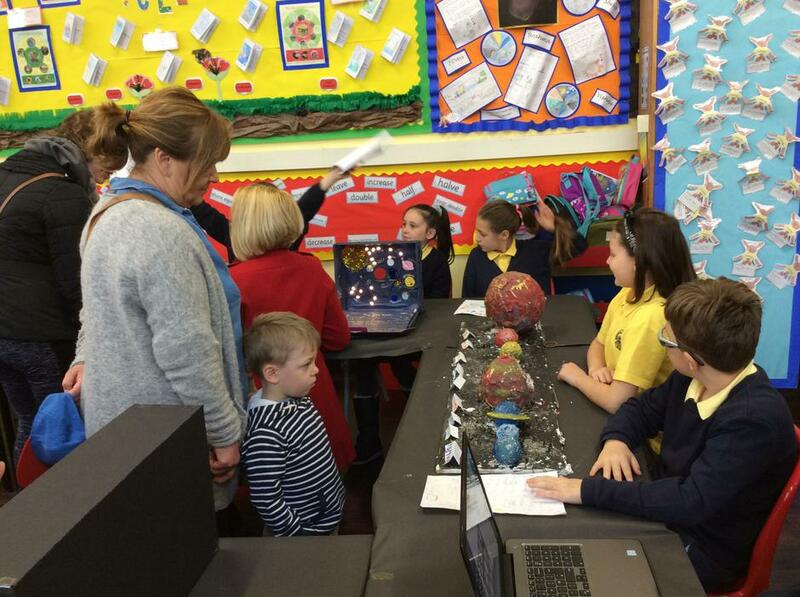 The projects were simply fantastic - we had amazing 3D models, detailed PowerPoint presentations, informative posters and even a video! 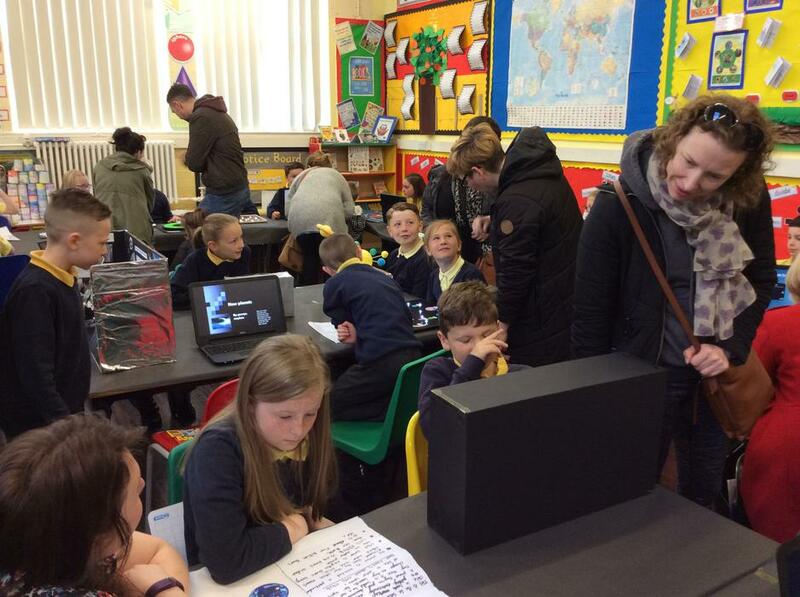 Lots of parents, as well as every class in the school, dropped in over the course of the morning and everyone was super impressed with Year 5's efforts. Well done, everybody! 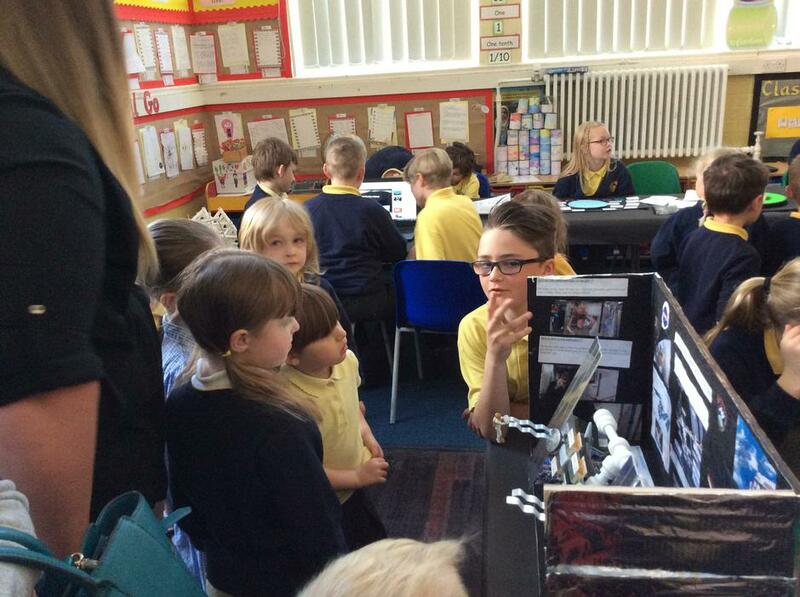 Year 5 went to the Live Theatre on Newcastle's Quayside to take part in a creative writing workshop called 'Live Tales'. We came up with ideas for an original story and worked together to create a main character (plus sidekick) and setting. After writing the opening paragraph of our story together, we continued writing independently. Everyone at Live Theatre was so helpful, and there was even an illustrator, Mike, who created some drawings of our character to accompany the story! We can't wait to finish our stories back at school. 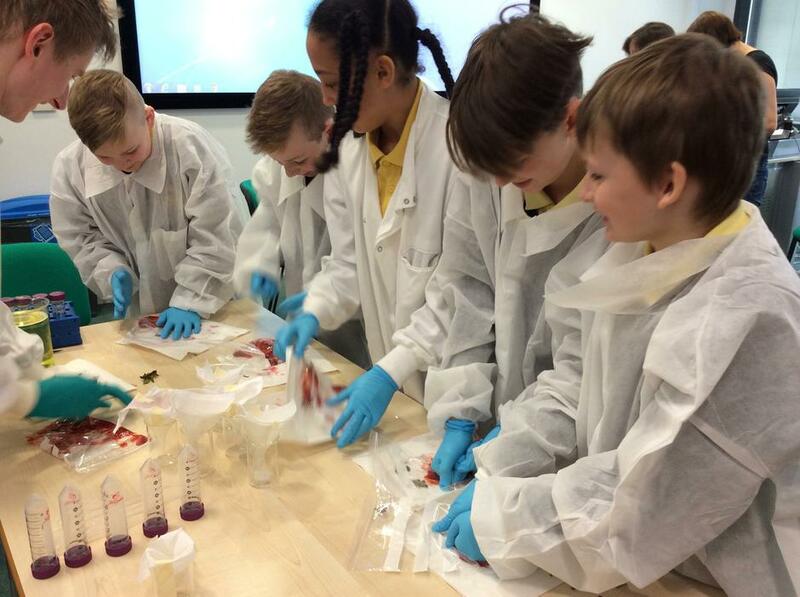 Year 5 were very privileged to visit some of the laboratories at the Newcastle International Centre for Life. 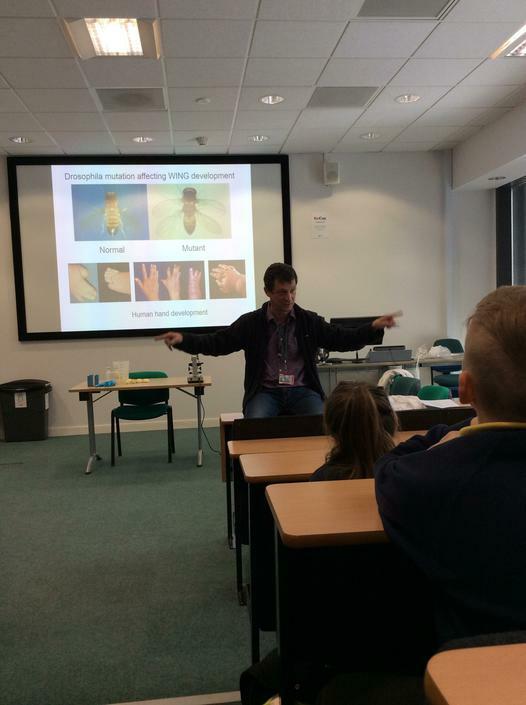 We met Professor Mike Briggs, a professor of skeletal genetics, who told us lots of interesting information about genetics. 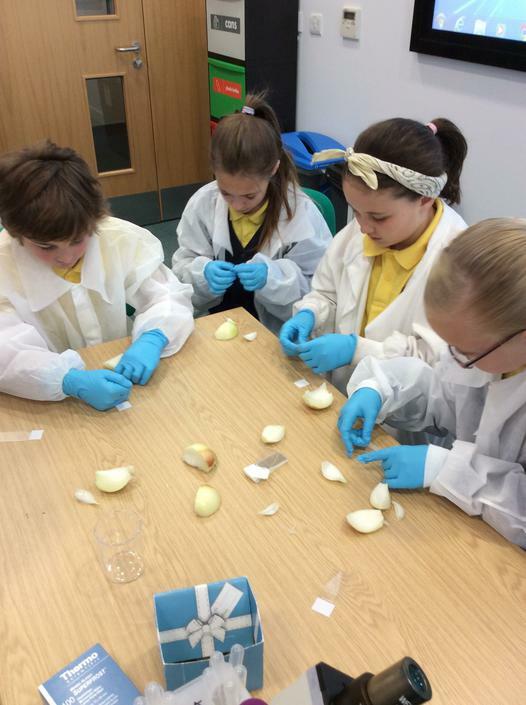 We were incredibly lucky to visit some of the laboratories and see real-life scientists working on a range of experiments investigating different aspects of genetics. 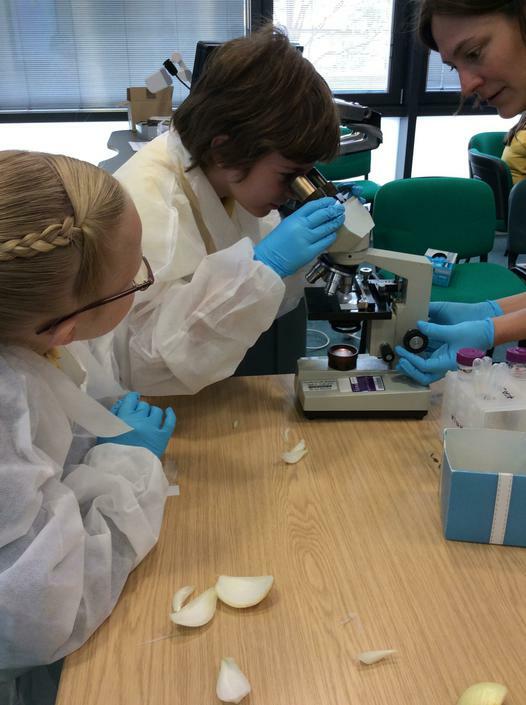 We even had the opportunity to do some experiments ourselves - looking at onion cells under a microscope and extracting DNA from strawberries! 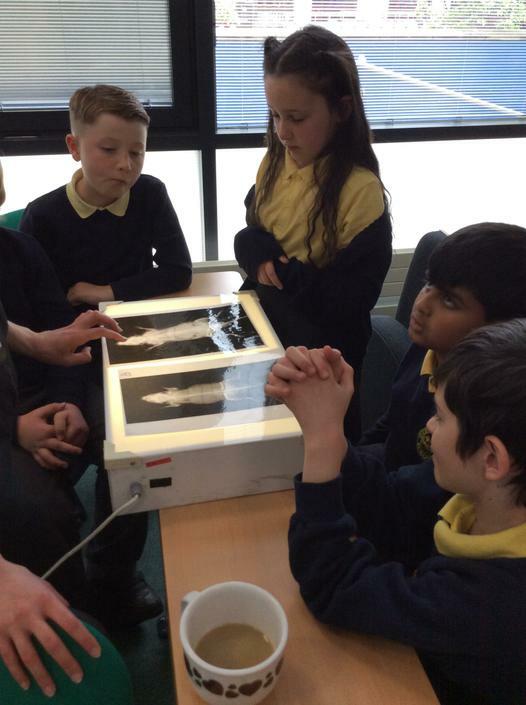 A huge thank you to Mrs Topping for arranging this visit for us. 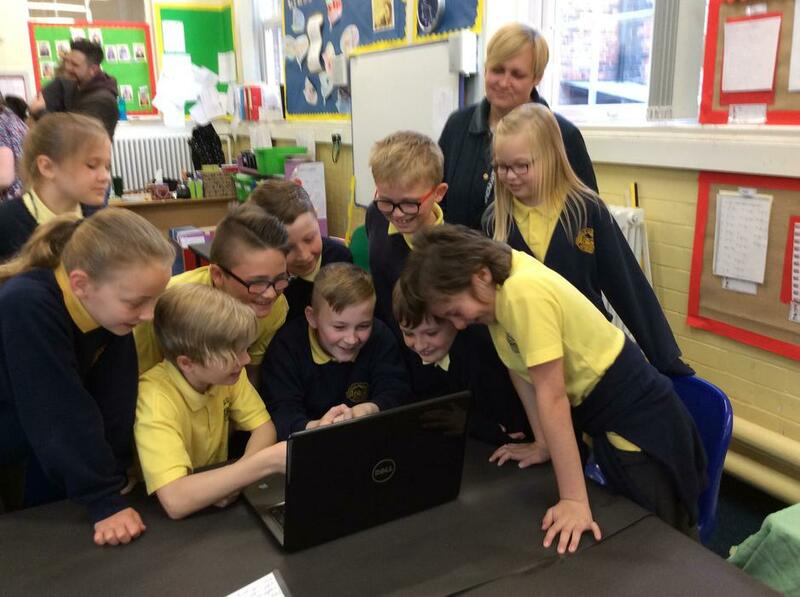 On Wednesday 2nd November, Year 5 set off to visit the Victoria Tunnel, in Newcastle's Ouseburn Valley. The tunnel was built during Victorian times and transported coal from the Spital Tongues Colliery to the River Tyne. We enjoyed going into the tunnel and learning about its history. We also spent time with Basil, who told us lots of information about Victorian times. After lunch, we went on a tour of the Ouseburn Valley, walking in the foot steps of Lizzie Dowson. It was great to see the places we had looked at on maps with our own eyes. We walked for miles, learned lots of things and even managed to fit in a power nap on the metro on the way home! The red doors into the tunnel. Signs informed us what was above ground. Coal dust was still visible on the roof. This used to be a coal merchant's house. This used to be Ouseburn School. A fabulous, but tiring, day out!